I got to thank my BlackBerry for introducing me to The Maine. A few years ago, I discovered The Maine while I was playing around with my BlackBerry. I noticed there is a music video in the phone. I was curious and played the video. John was the first one who caught my attention. Ooops, I just can’t resist seeing his beautiful and perfect face. Then, I started listening to the song. 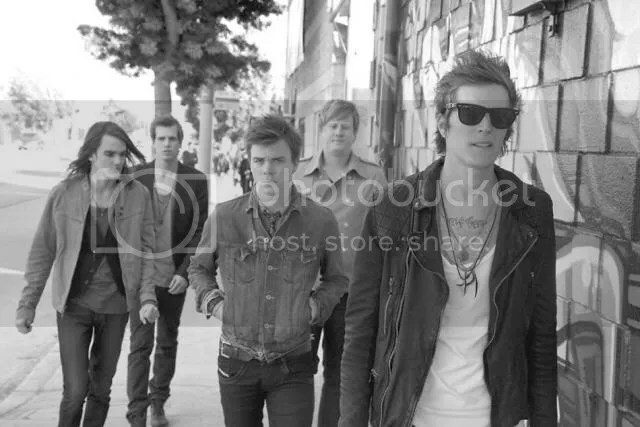 Soon, I find myself on YouTube watching The Maine. 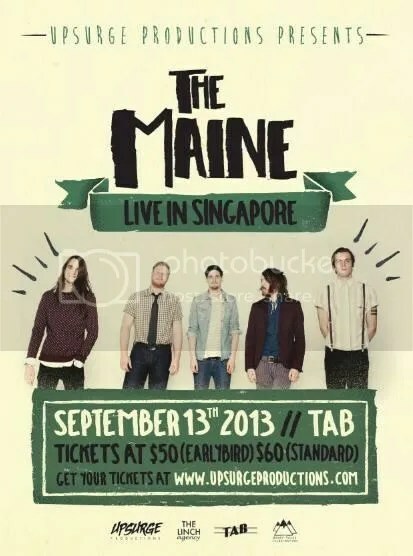 Upsurge Productions will be bringing The Maine to Singapore next month. The Fifth Parlour took this opportunity to do an interview with John, to see what we can expect from the gig in Singapore. Formed in 2007, this American rock band from Tempe, Arizona consist of John O’Callaghan (Vocals), Garrett Nickelsen (Bass), Pat Kirch (Drums), Kennedy Brock (Guitar, Vocals) and Jared Monaco (Guitar). John explained that the genre ‘rock’ is general yet familiar term when it comes to music much like “vegetable” when you are referring to food so they will stick to “rock” when describing the sound they portray. Their inspiration is vast and varies, very much like their musical taste. They are not concerned with which box you put their music inside. 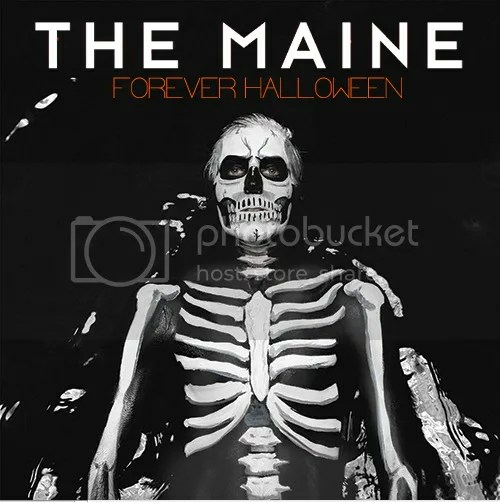 Recently, the band released their full-length record Forever Halloween which reached no. 39 on the Billboard 200 selling over 10,000 copies in its first week. Forever Halloween was recorded live and to tape which was a completely different approach for the band. This has allowed the songs to speak for themselves while simultaneously showcasing what the band is capable of at this moment in time as a band. When asked which album best represent the band, John said that the most recent work will always best represent who an artist is, seeing as the most recent work is the most recent point in time he or she allows others to look inside their head. This is who they are at the moment and they are proud of what they have accomplished with our new record. The Maine wrote on Twitter last month that they are working on a special site as a Thank You to the fans for the 8123 tour. We got curious and asked John what we can expect from the special site. John revealed he is very excited for it to launch and they are currently creating a forum-like base for people to share their art, thoughts, etc. with others that support the band and the entire 8123 family. Fans will go the extra mile for their favourite bands or idols. The Maine fans are no exception. John shared that they have been receiving loads of letters expressing gratitude and support for the band and that is something that means a ton to them. 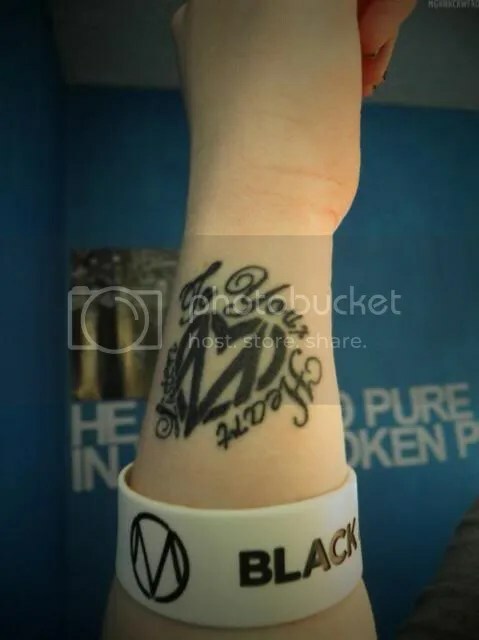 Some even had tattoos of the band’s lyrics and logo. To John, it is a pleasure meeting very incredible people all over the world with amazing stories and first hand accounts as to how they feel like a part of the family. If you want to be part of the fun, loudness and energetic show on September 13, purchase your tickets at ApeSnap at only $62. Thank you Jonnie Allen for arranging this interview and John for taking time to be part of this interview.